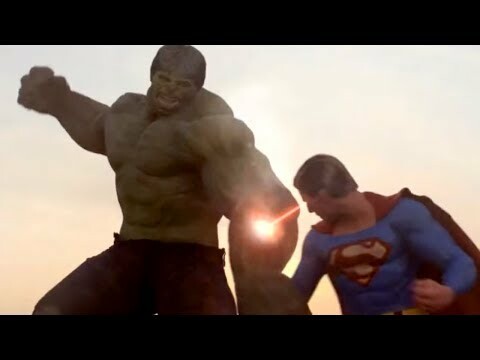 Since 2011, independent animator Mike Habjan has been uploading to YouTube, videos chronicling his multi-part interpretation of a fight between Superman and the Hulk, which have since garnered millions of views and many fans, myself included. Although starting out well for an amateur, the quality of Mike's work has risen dramatically with each chapter. Along the way he also acquired a collaborator, composer Francois Gratecap, whose original scores have added greatly to the mood and drama of the videos. After a gap of almost four years, Mike has finally uploaded his most recent chapter in this ongoing series, which IMHO is of professional studio caliber. For folks who have never seen this amazing series, I'll link to the earlier chapters in chronological order. I like how the animation and graphics improved over time, but I did not like how the animator would not stay consistent with the Hulk. On the other hand, Superman was consistently the Christopher Reeves style Superman throughout though things like hair, cloth and other effects were updated, though he noticeably bulked up Superman in the later series. Hulk on the other hand started out as Edward Norton style from 2003 Hulk movie, then changed to the more Mark Ruffalo style then in the final version they made the Hulk look like a mix of parts with Lou Ferrigno face for the Hulk. That was sort of annoying how inconsistent that was with the Hulk looking beefier with each iteration change. Over all I think it's a nice battle, and seems to depict an actual fight instead of the often DC instant win Superman got in a single page back in the DC vs Marvel cross over long ago. Do I expect Hulk to win the eventual fight? No, Superman logic is he will win because he is always as strong as he needs to be for the fight. One thing though that should be put out there is that making Hulk madder makes him stronger. And this just isn't in he's raging stronger now but he should physically bulk up some as a result to. But over all it's an interesting match up. Better than anything Death Battle would come up with at least. I know people will say Hulk will wear out eventually, that just isn't true. Hulk's a gamma battery as explained by Bruce Banner himself and essentially the madder he gets the more powerful that battery gets. But the eventually outcome will have to be some way to KO Hulk, I just hope it isn't cheesy. All fair observations, but I do have to note that this series started in 2011, when the latest cinematic version of the Hulk we'd seen was from the Edward Norton movie, before Mark Ruffalo debuted in Avengers. I suspect Mike Habjan's own conception of how he wanted the Hulk to look has evolved over time. I'm glad he settled on the Lou Ferrigno look for the last two chapters in the series, since his Hulk and Chris Reeve's Superman are contemporaries. There have been many incarnations of both the Hulk and Superman over the decades, with varying power levels and special abilities. One could pick an incarnation of each for which either one could plausibly maul the other. For this fight Mike has obviously decided on versions of the characters of roughly equal strength, which is reasonable, and of course makes for a longer, more involved, and more interesting battle. Personally I would pick Superman to eventually win, because all else being equal Supes has more abilities to draw on. But as long as the fight continues to be this well depicted, I won't protest at whoever Mike picks to win. I don't necessarily agree that Supes should win just because he is Supes. After all, the Hulk is more than just an enraged monster these days, though he has the worst case of split personality disorder ever. And super fans of both have noted some things just on pure physical level that Hulk would probably cause to Supes, namely the fact his gamma radiated body would probably have a very noticeable effect on Superman. It would be interesting if the creator takes Hulk up to planet breaker levels, but then Supes fans would probably want God Supes. Again, in the end, Supes will have to win, just because that is how the character is as dictated by DC themselves. Even though Hulk gets madder even if something potentially stronger than him shows up, the Superman comic law is he is as strong as he needs to be to win, which is often used to win most arguments despite how backwards it is. Hell it's the argument Death Battle always uses in fights with hi, like against Goku despite getting their data hugely wrong. And the final tally on it for me, DC heroes are just made impossibly larger than life. Beyond peak physical conditioning with life styles that many could only dream f. They are either rich r super powered or both. Marvel tends to be more "grounded" in that regard, though still fantastical. Hulk gets stronger the madder he gets and the that has no upper limit. Superman could of course just throw Hulk into space... this would not kill the Hulk but since he has no way of moving through space he would have to wait till he hit a planet with space going tech or got picked up by aliens if he ever hoped to get home. I don't think Superman will win just because he's Superman. I think he'll win because he's much faster than Hulk, can fly, and has heat vision. As these short films demonstrate. Again, animator Mike Habjan has chosen not to use the most overpowered version of either character from their lengthy comic-book histories for this fight. They can't do all the most outrageous things ever shown in the comics. This Superman clearly can't just throw the Hulk into space -- he has to fly him out there, and it takes him a minute or two. 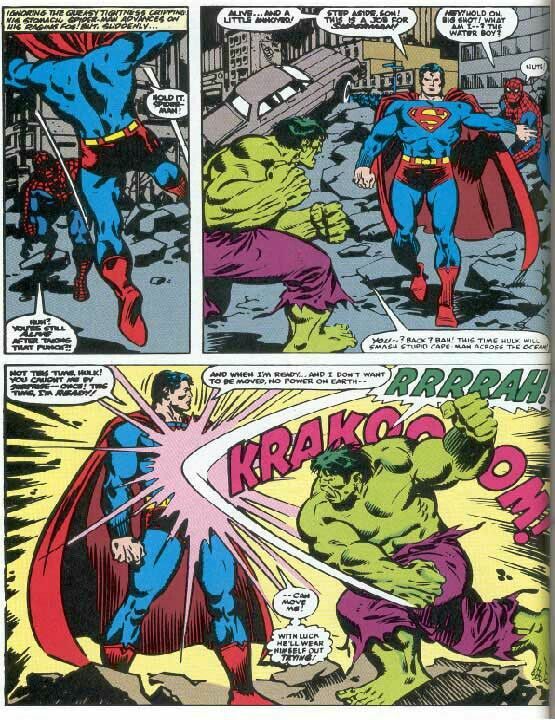 As Mike illustrates, the Hulk isn't going to passively hang there and let Superman do that to him. Superman doesn't die, he just goes away for a while. He needs to die though. One thing I don't care for about the comic books. Never evolving past one character, they should be passing the torch if not having passed them multiple times by now. Instead the characters get rebooted and entire personality changes occur that make them nothing like they use to be. Superman doesn’t need to pass a torch. Thing about comics is that they do have story arcs...and once those stories are done it’s a retcon. I have many versions of Batman I like. Same without Wolverine. Superman can die...but that doesn’t mean the character needs to be deleted. Just means that in that story he is dead...and la la la he can come back in a new story. I think the idea of Superman is bigger than the actual character. Pre-Crisis Superboy was (oddly) even more powerful than Pre-Crisis Superman, and either one would have no problems handling the Hulk unless the Hulk got powered up by Kryptonite, which given that he's all green and radioactive based is exactly the kind of stuff that would happen Pre-Crisis. Silver Age Superman was infamous for making up super powers on the spot such as super gardening, super weaving, super reading, super math, and many other feats, and as such I consider that child like fan fiction mentality thanks tot hings like the comic code making goofy powers just to get out of a corner while keeping to the silly comic code. Superman's idea of Super Gardening was literally just throwing the plant at the ground. 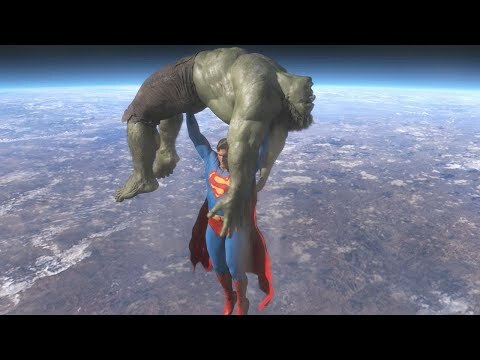 supes could have totally just thrown hulk into space in the first video but be didn't(superman wouldn't just throw people out into space unless he knew that they wouldn't die instantly, he usually is not in favor of killing people) instead he beat hulk in the face which only makes hulk more angry and the more angry hulk gets the stronger he gets so when supes actually does decide to throw/fly him into space it is already to late. Note that not all versions of the Hulk follow the "madder=stronger" trope. The MCU version has never had that point noted, for example. 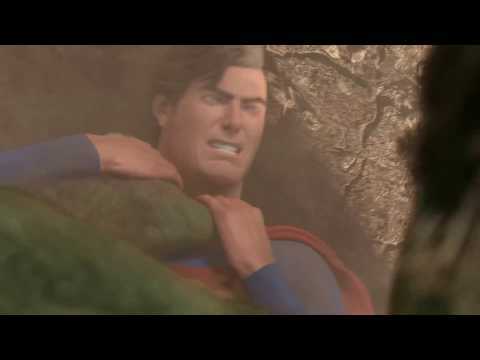 And again, the feats of strength displayed by Superman in these videos are not "throw into orbit" magnitude. If he could have done so at any point in this fight, it would surely have been by the last chapter when he's clearly trying to get Hulk to where he can't breathe. Especially when carrying him there proved so problematic. Any story featuring these characters has to account for the parameters set by the writer. In the case of Mike Habjan's videos he's chosen less than their most omnipotent incarnations, and balanced their power to make for a more interesting and entertaining match. A fan of either character can bring up any feat from their comic-book past to illustrate how they could have won quickly and easily; but how much fun would that have been to watch? Eh, it's not something we can say hasn't been shown. After all, we saw Hulk punch and stop a chitauri battle slug thing with one punch, and of course in Age of Ultron he was getting stronger as he got madder fighting the Hulk Buster Armor. I was just watching a video on it the other day and the guesstimates place the slug thing at around 12,000 tons which means using MCU Hulk as the example, he put out 2,000 tons of force with his one punch to stop the giant monster in 6 seconds. That's not including his latest feats from Thor Ragnarok and such as well either or any potential feats we might see in Infinity War. 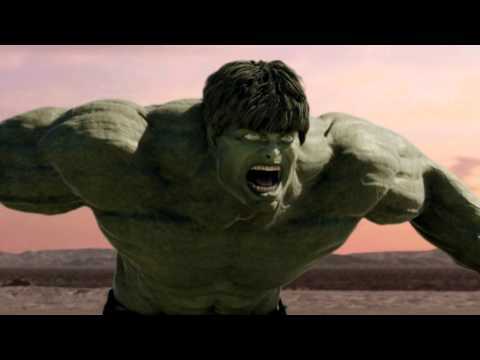 So 2,000 tons of force in a freshly transformed Hulk in the first Avengers movie, could see a lot more than that. ... and of course in Age of Ultron he was getting stronger as he got madder fighting the Hulk Buster Armor. *shrug* Didn't look that way to me, and no one in the movie said it. I guess we should just agree to disagree. That's my gardening style and skill honestly lmao. 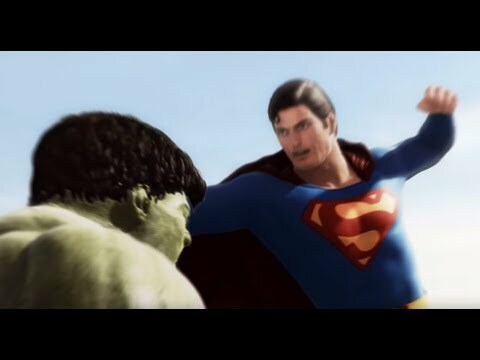 Odd thing is each time Hulk and Supes meet they always end up fighting. Supes has the better win record but actually seems to enjoy fighting ( and trolling ) the big green moron...that said I think Superman might have problems if he ever fought Cho Hulk as he almost always retains his high intelligence. I mean if Superman can't beat a super smart human (Batman) what chance does he have against a super smart Hulk. Superman has almost always implied an undercurrent of arrogance about his power, often displayed by letting a new foe pound on him and just standing there smirking. The first time he met Doomsday in the comics, he let the monster punch him and didn't budge; Doomsday paused for a second in surprise, then wound up and kicked Superman, launching him through several buildings. 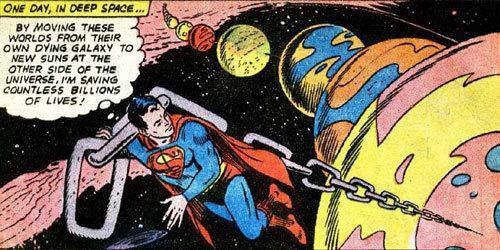 Supes was most definitely "movable" from that particular force on Earth.